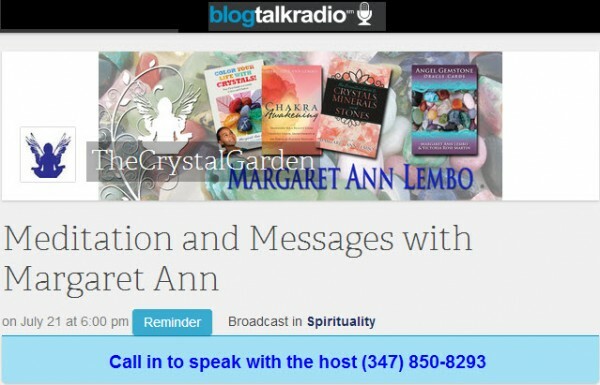 Margaret Ann is the author of Chakra Awakening and other books, and owner/founder of The Crystal Garden, the premier book store, gift store and spiritual center in Palm Beach County. This show is dedicated to raising conscious awareness and providing you tools to help you stay spiritually focused on positive thoughts to create your reality. Join Margaret Ann to learn to use gemstones, affirmations, the angelic realm, spirit guides, intuition and aromatherapy in your daily life. Chakra Awakening Click here or on the image below. To listen to an audio podcast, mouse over the title and click Play. 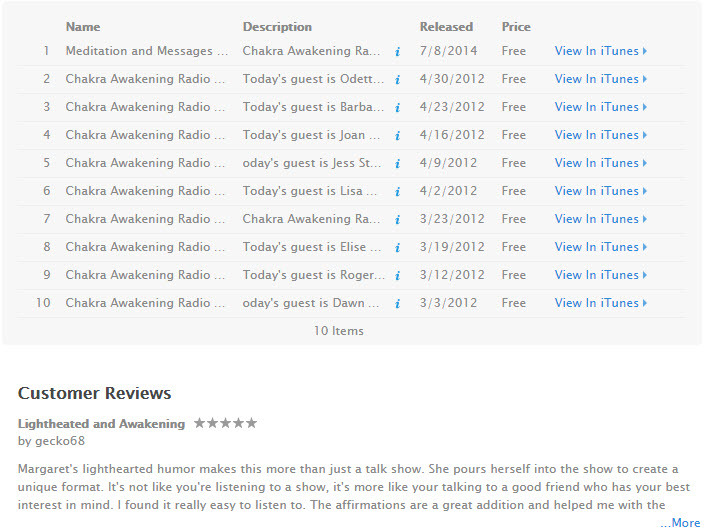 Open iTunes to download and subscribe to podcasts.